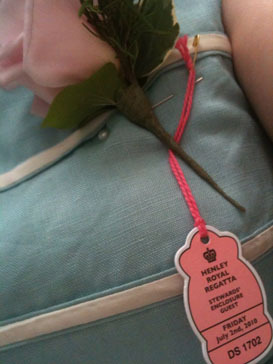 On Friday, I was taken to Henley Royal Regatta as part of a press trip. I was over the moon to be invited. Not only is it a lovely gesture, it’s also the kind of amazing fun thing that you’d never pay for yourself, but that’s totally worth doing. 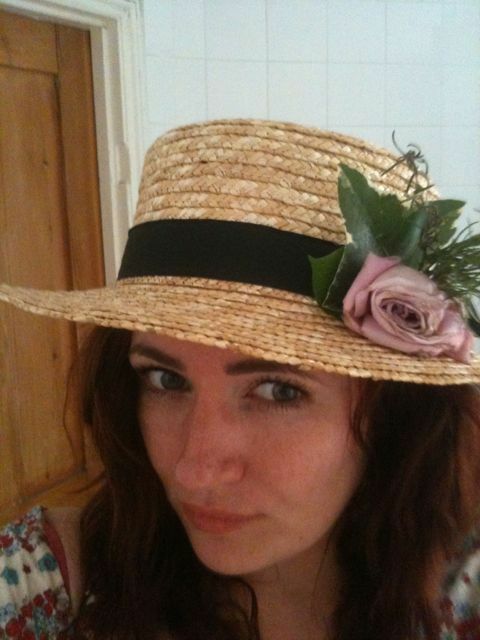 To be honest, any event with obligatory Pimms consumption, hat wearing and sun lounging is good in my books. When the PR in question emailed me over the info, she stressed the importance of the dress code, joking about how much of a pain in the arse it is finding a below-the-knee skirt. Does she know me but at all?? I literally have two items of clothing that finish above the knee. The event hit the headlines earlier in the week, when guest Keely Buston was refused entry for a too-short hemline. Let’s disregard the fact her outfit is appalling – and the fact I linked from the Mail (sorry, they were the only ones with a decent picture). I would call that dress knee-length, easily, but such is the strictness of the event. Gentlemen are required to wear lounge suits, or jackets or blazers with flannels, and a tie or cravat. Ladies are required to wear dresses or suits with a hemline below the knee and will not be admitted wearing divided skirts, culottes or trousers of any kind. Ladies are encouraged to wear hats – click here for more information. Similarly, no one will be admitted to the Stewards’ Enclosure wearing shorts or jeans. ADDED BONUS: Children under the age of 10 years and babies are not admitted to the Stewards’ Enclosure. OK, so the no trousers slightly rankles – and the culottes thing is just funny – but essentially I’m down with it, especially the hat encouragement. I didn’t take any photos (except one of the corsage we were presented with by our host), but luckily there are plenty of pics online for me to STEAL. It surprised me, although it shouldn’t have, that the men outdressed the women by about one million percent. All the guys I saw looked fantastic, full stop. I know finding a knee-length outfit can be hard, but I’d say about two thirds of the women I saw looked awful. 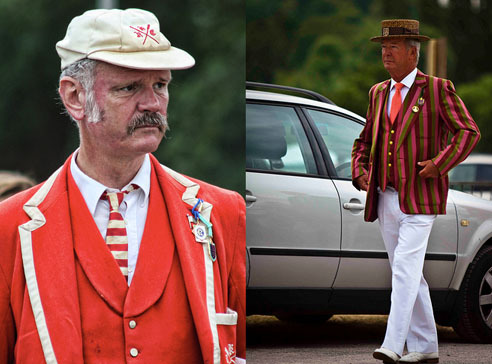 Us Brits really seem to struggle with smart + hot weather + style. The few exceptions were older ladies, particularly one of our host’s pal’s parents… Incredible kaftan and turban, the kind you can only pull off when you are 80 and have spent your life traveling the globe… She was like a Brit Irish Apfel. 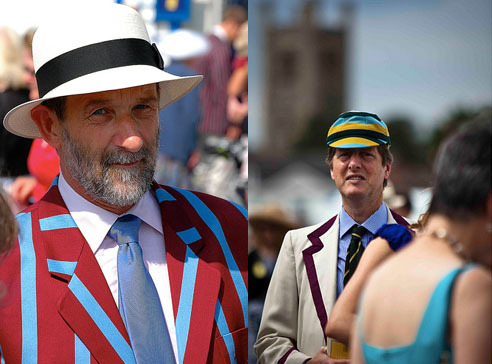 Anyway, all the chaps (and chaps they were) looked resplendent in their rowing blazers and boaters. 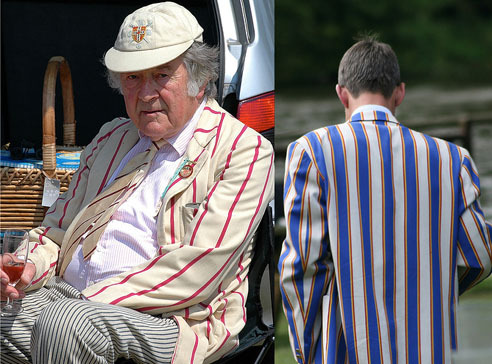 Such brilliant colours and funny seeing pensioners kind of tightly squeezed into their Oxbridge gear from 60+ years ago. Of course the whole thing is supremely middle class but I think if you get that chip off your shoulder to start with and just accept that it’s going to be like that, you’ll have a grand old time. I hate a Hooray Henry as much as the next person, and my thoughts on Tory boys are fairly aggressive, but everyone I met yesterday was a pleasant surprise. 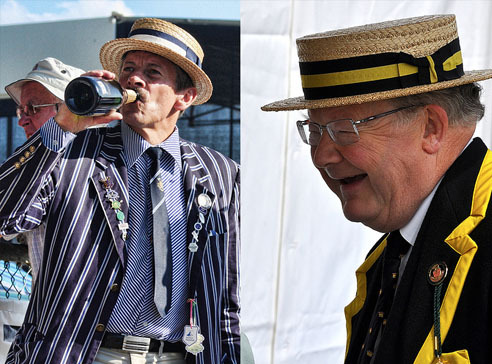 Sure, their cheeks were ruddy and they had cravats, but they weren’t dickheads at all – in fact, I got on really well with everyone I met, and would happily share a Pimms with them anytime, should they ever venture to the wiles of SE London. The weather was blissful, the food was top, and the novelty factor was through the roof… Henley gets a grand old thumbs up from me.